The Anti-Nephi-Lehies valued their covenants more than their lives. 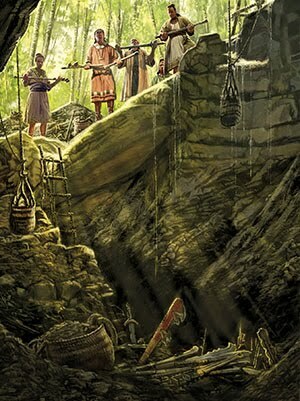 Because of the efforts of the sons of Mosiah many Lamanites had been converted to the gospel. They changed their lifestyle, their culture, their home, even their name. They decided to be called Anti-Nephi-Lehies. The Lamanites who had not been converted angry at those who converted to the teachings of the Nephites. They began to rebel against the king. They took up arms to destroy the king and the Anti-Nephi-Lehies. 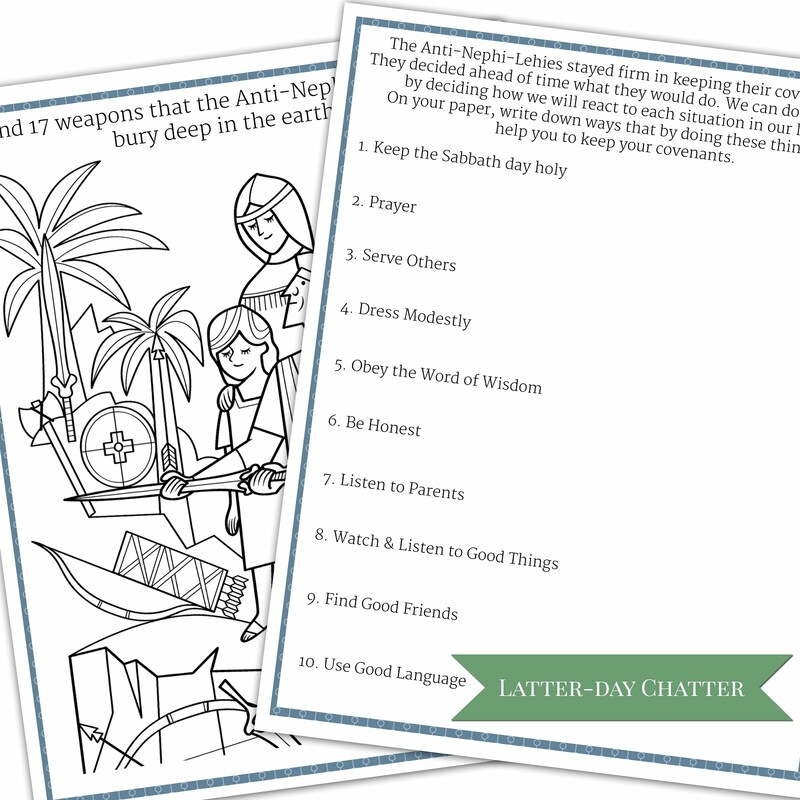 None of the Anti-Nephi-Lehies being converted to the Lord, would take up arms to fight against the Lamanites that were coming to destroy them. They had repented of their wrong doings and they were afraid that if they were to kill again they wouldn’t be forgiven for committing the sins again.They chose to bury their weapons deep in the earth as a covenant to God that they would not kill again. When the Lamanites came to destroy them, the Anti-Nephi-Lehies did not fight but prayed. Many Anti-Nephi-Lehies were killed by the Lamanites and none of them fought. The Lamanites saw that the people not fighting but praying, many of the Lamanites felt sorry for killing their brothers and put down their weapons and did not fight again. They repented and joined the Anti-Nephi-Lehies. Because many Lamanites stopped fighting, those remaining were even more angry and blamed the conversion of their brothers on the Nephites. The Lamanite armies went to the Nephite lands, they fought many battles but couldn’t overpower the Nephites. Many more Lamanites saw that the Lord was helping the Nephites by giving them great power, repented and converted to the Anti-Nephi-Lehies. Some Lamanites were still very angry with the Anti-Nephi-Lehies and they went back to their lands and once again the Anti-Nephi-Lehies didn’t fight and many were killed again. Ammon and his brothers saw that so many people were being killed and they asked that the king gather his people and flee to the Nephites. The king was afraid that if they went to the Nephites, they would kill them or make them slaves because of their past sins against the Nephites. 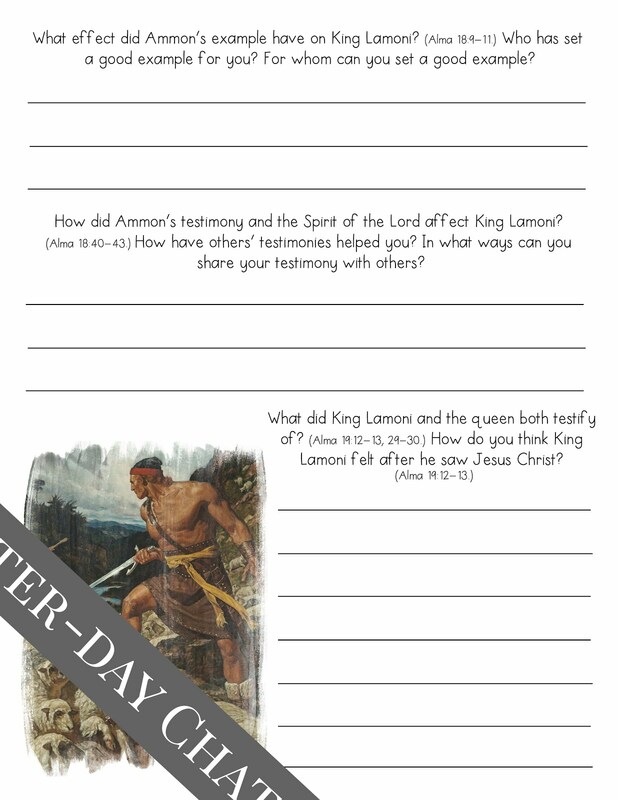 Ammon told the king that he was ask the Lord what they should. The Lord told Ammon to get the people out of the land. The people gathered their belongings and went to the Nephite land. Ammon and his brother went to Zarahemla to talk with the chief judge telling him all that had happened to the Anti-Nephi-Lehies. 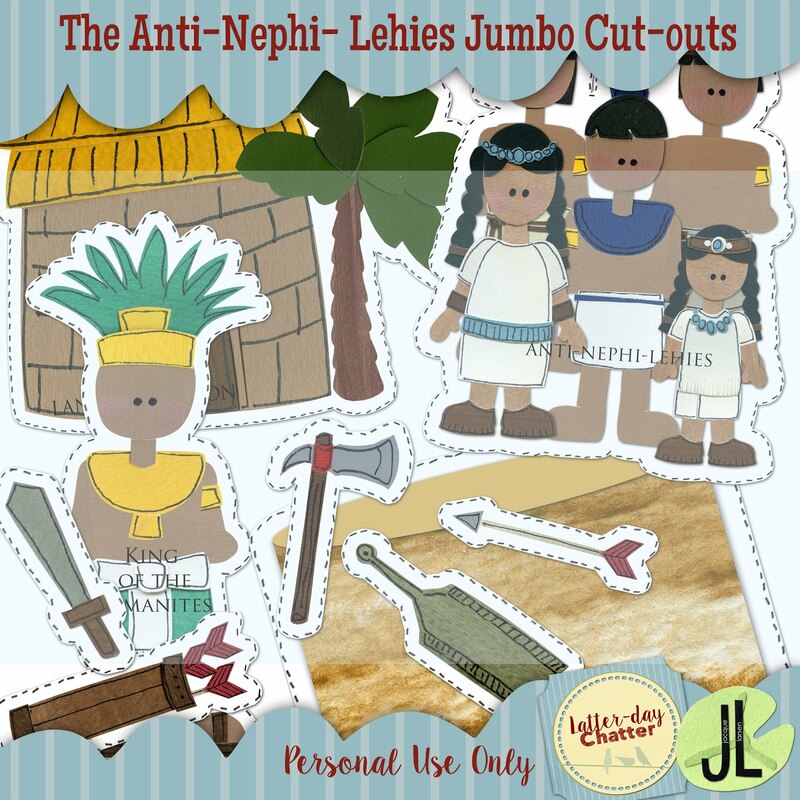 The Nephite people told the king that they were give the land of Jershon to the Anti-Neph-Lehies and the Nephites would put an army to protect them from the Lamanites so they wouldn’t break their covenants and take up weapons again. In return, they were asked to provide food and supplies for the army. 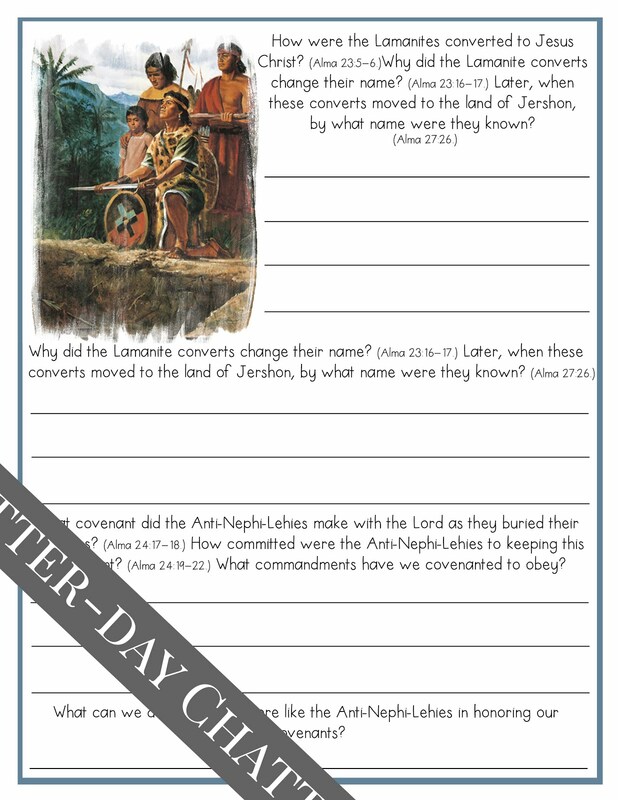 The Anti-Nephi-Lehies made their new home in Jershon. Go through together ways that by doing these things (you can easily add more than just these 10) will help them keep their covenants. For the student version. These are both on regular printer paper, First the 17 weapons and then the 1-10 covenants page as described above. 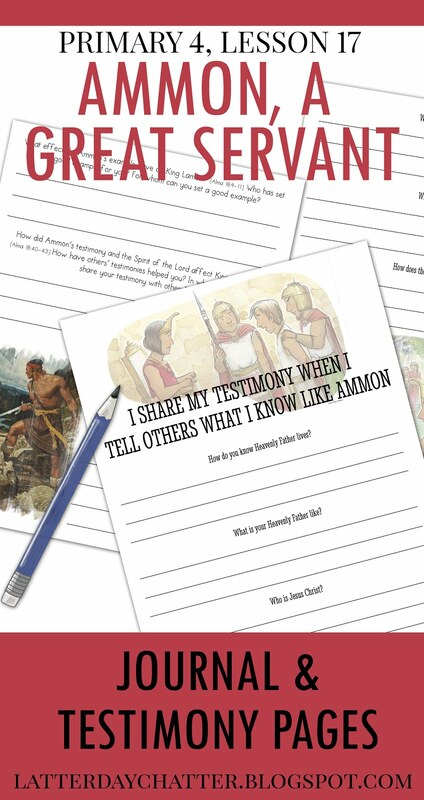 Even though he knew it could be dangerous, Ammon served as a missionary among the Lamanites. With the power of God, Ammon defended King Lamoni’s sheep from Lamanite robbers. His good example allowed him to teach the gospel to others. 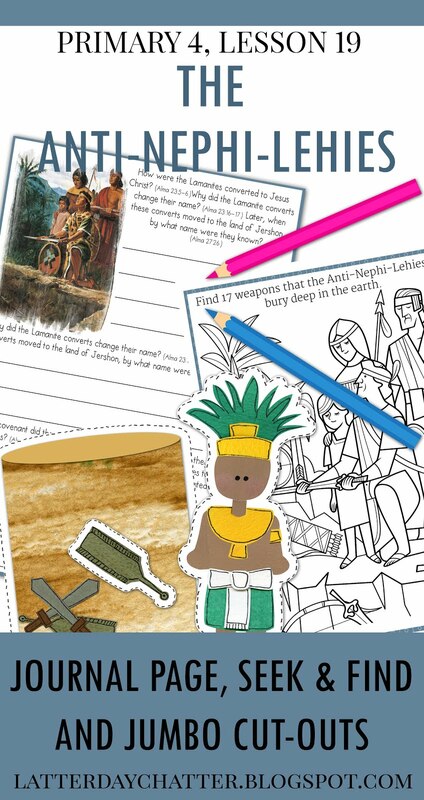 I just love the attention activity in the lesson and so I wanted to actually have the kids be able to write down what they know from each of the questions. So I’ve created the questions with a few lines for each. You can easily print them front to back instead of two sheets. 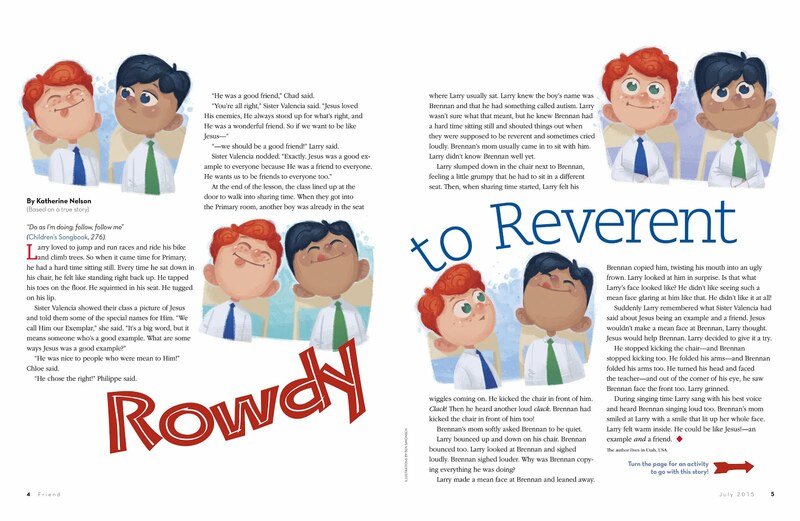 Here’s a fun story about being a good example from the Friend. I just love this story! 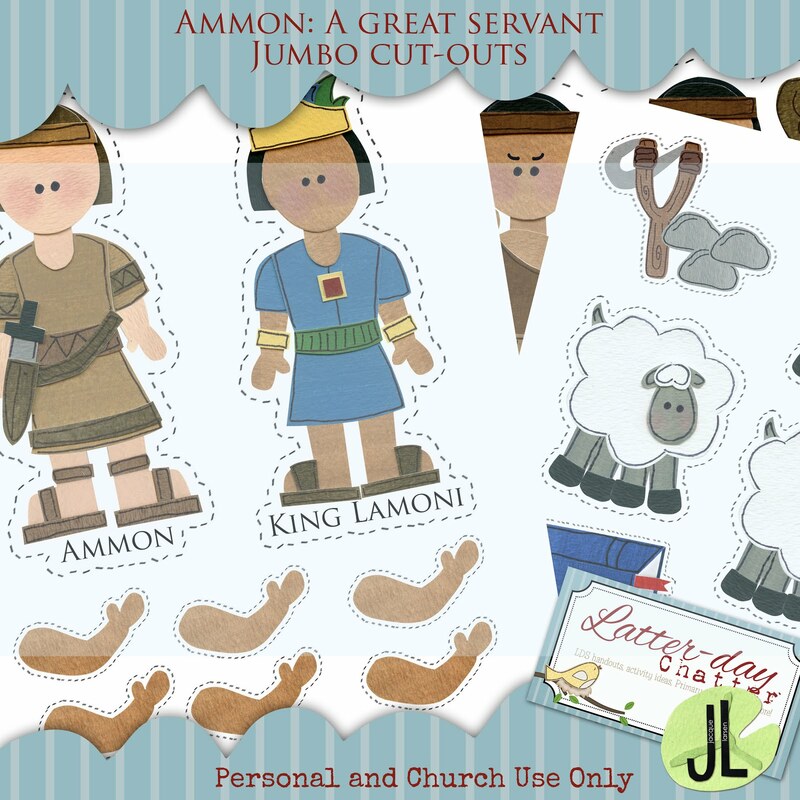 And here are some jumbo cut-outs to share the story of Ammon! When we respond quickly to the word of the Lord, He helps us obey His commandments. 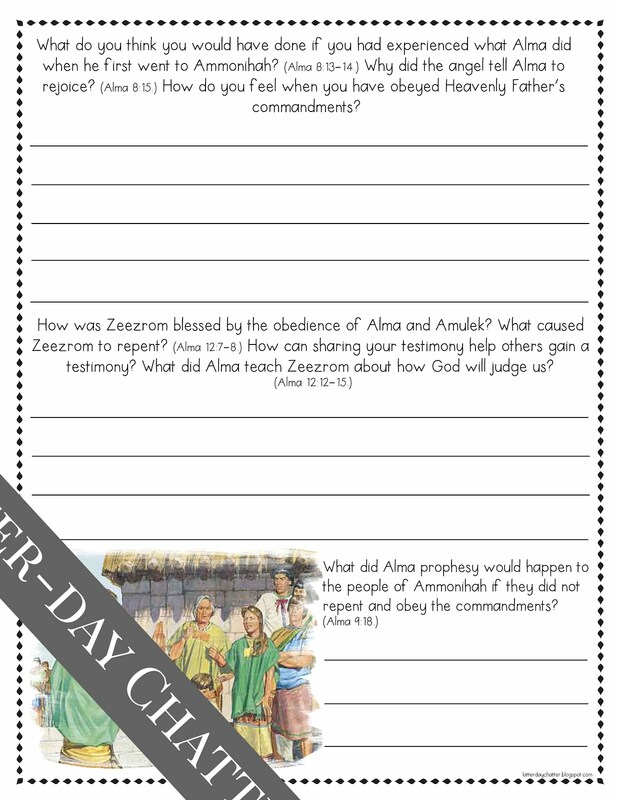 Alma called the people to repentance and taught them of the need to prepare for the Savior’s coming. From Amulek’s experience with an angel, we learn that when we hear and obey the Lord’s call, blessings come to us and to others. 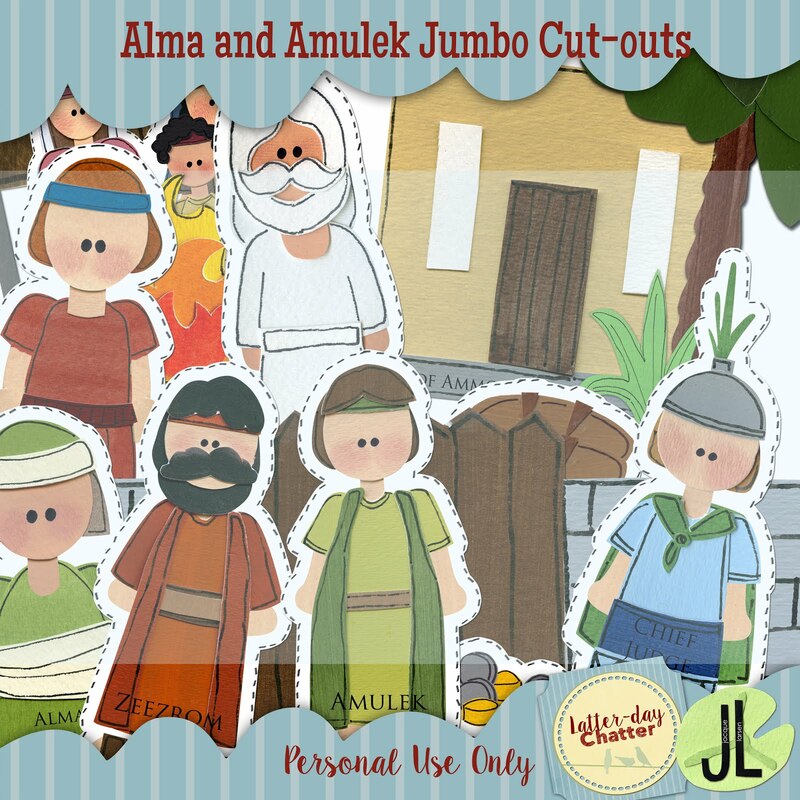 Use these Jumbo Cut-outs to share the story of Alma and Amulek’s mission.